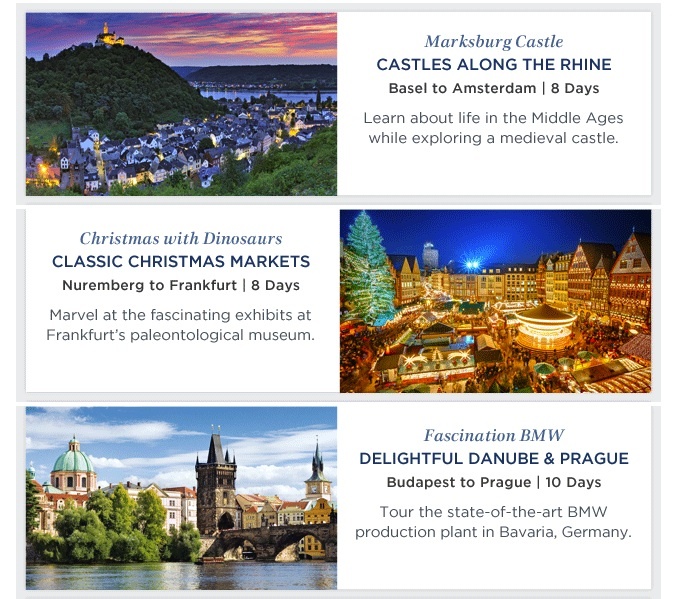 Looking for a unique Europe getaway with your kids? How about a river cruise? Call our agents to discuss a Uniworld vacation! 503-224-0180 or email info@wittravel.com. 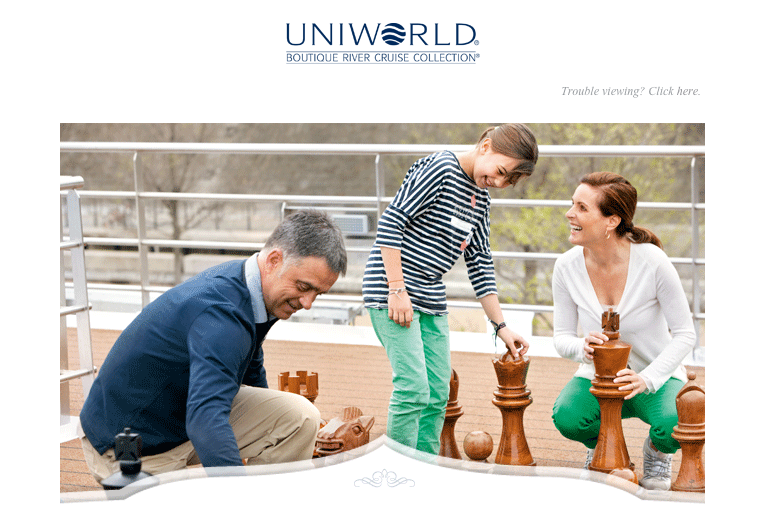 Uniworld’s all-inclusive, family-friendly river cruises in Europe provide young travelers with mind-expanding experiences—at 50% off the regular cruise-only fare! * Our newly expanded 2016 multigenerational program gives kids ages 4-18 rare opportunities to venture inside a giant clock, observe amazing high-tech robots at the BMW factory, get an up-close view of a medieval castle, and much more. Cultural experiences that are educational and enjoyable, with adventures the whole family can share together. Children must be between the ages of 4 and 18, and be accompanied by an adult to qualify for the 50% off savings. 50% savings offer is off cruise-only price and is valid for new bookings on select family itineraries and departure dates as noted only. Offer is combinable with past guest savings only. Offer is subject to availability and is capacity controlled. Other restrictions may apply.